Bible Study - LUKE: George Castanza, Michelangelo and Jesus? A simple definition of a testimony is telling someone what God has done for you. What is something God has done for you that you are thankful for or are celebrating? Share your testimony! Sometimes it takes a storm to reveal the quality of your faith. Where are you experiencing stress or anxiety? Where would like to see God move in your life or in the life of someone close to you? Ask your group to be praying with you about that. Review the notes you have made in pages 64-73 of your Luke Journal. What stood out to you in these passages? What questions were raised for you? 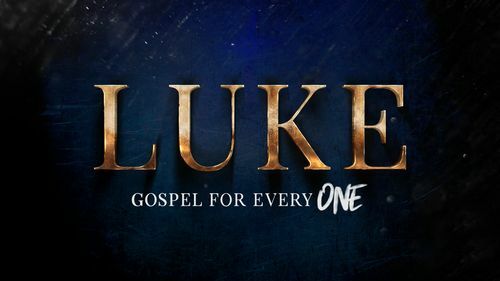 Review each of the stories from Luke 8 & 9 referenced in this week’s sermon. Which was most impactful to you? Why? If you could have present for one of these miracles, which would it be? Why? Luke 9:10-17 – Jesus feeding the 5,000 with five loaves and two fish. 6. Read Luke 9:18-27. Peter confesses that Jesus is the “Christ of God,” the Messiah – God’s anointed. Have you made that confession? What does it mean to say, “Jesus is Lord?” Have you ever really taken thought about whether Jesus is competent to tell you how to live? Do you think of Jesus as smart? 8. Read Luke 9:26. Is there anything about Jesus’s way of life, His teachings or His behavior that you hesitate to follow or share with others? Why? In what situations do you find yourself vulnerable to the temptation to be ashamed of Jesus? 9. In the next 24-48 hours, what simple next step could you take in obedience to what you’ve learned from your time in God’s Word? Who would benefit from hearing what you’ve learned this week? Will you share it with them?